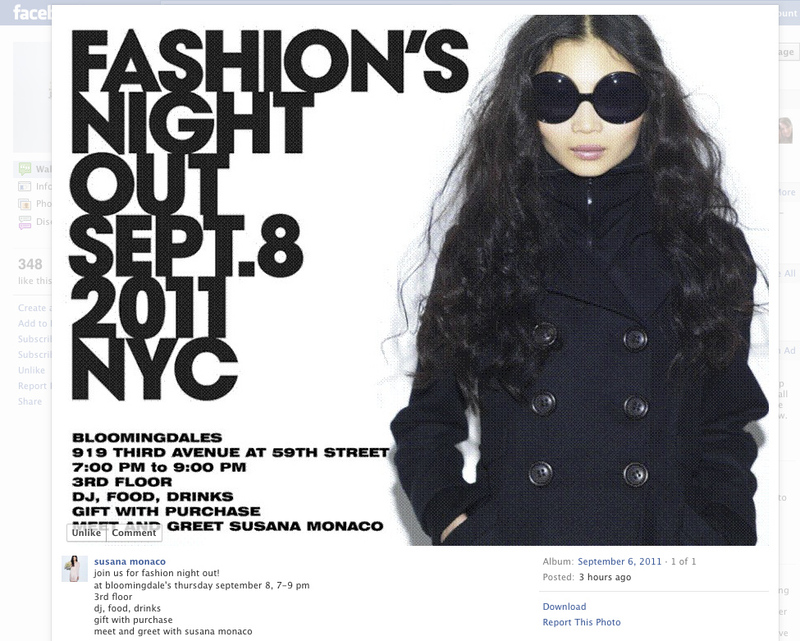 For those fashion fans out there who still have not closed out their fashion week events, Susana Monaco is doing a Fashion’s Night Out event at Bloomingdale’s (3rd Ave and 59th St)!!! Should be fun and a great opportunity to meet the designer Susana and see the clothing line. There will be food, drinks and a DJ. Of course, I will be there as well if you want to hang with me. Since it is Bloomingdale’s, you know good shopping will be available. Here is the link to Part 1, Part 2 and the video!